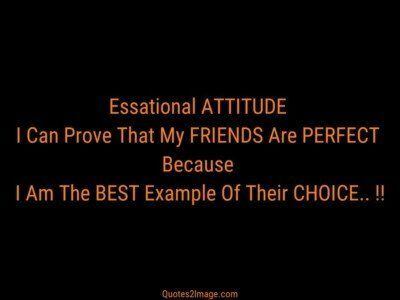 Essational ATTITUDE I Can Prove That My FRIENDS Are PERFECT Because I Am The BEST Example Of Their CHOICE.. !! 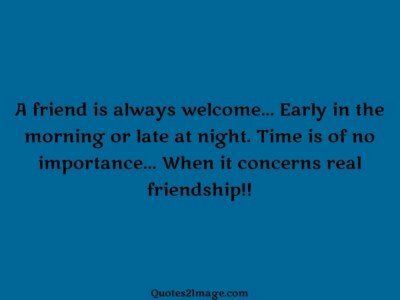 Friends are like sketch pens they color your lives. I may be not your favorite color but you will need me some day to complete your picture.. !! 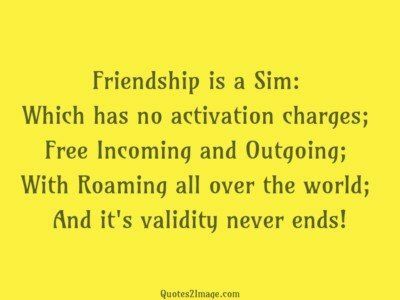 Friendship is a Sim: Which has no activation charges; Free Incoming and Outgoing; With Roaming all over the world; And it’s validity never ends! 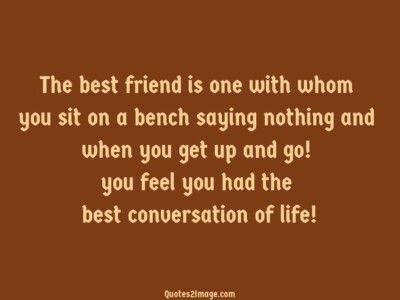 The best friend is one with whom you sit on a bench saying nothing and when you get up and go! you feel you had the best conversation of life! 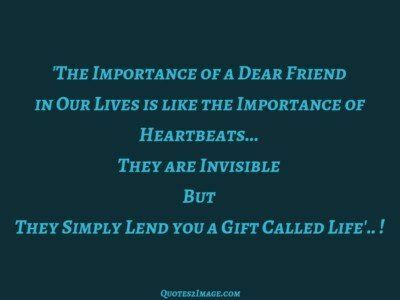 ‘The Importance of a Dear Friend in Our Lives is like the Importance of Heartbeats… They are Invisible But They Simply Lend you a Gift Called Life’.. ! 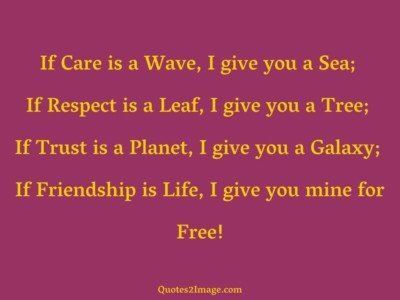 If Care is a Wave, I give you a Sea; If Respect is a Leaf, I give you a Tree; If Trust is a Planet, I give you a Galaxy; If Friendship is Life, I give you mine for Free!